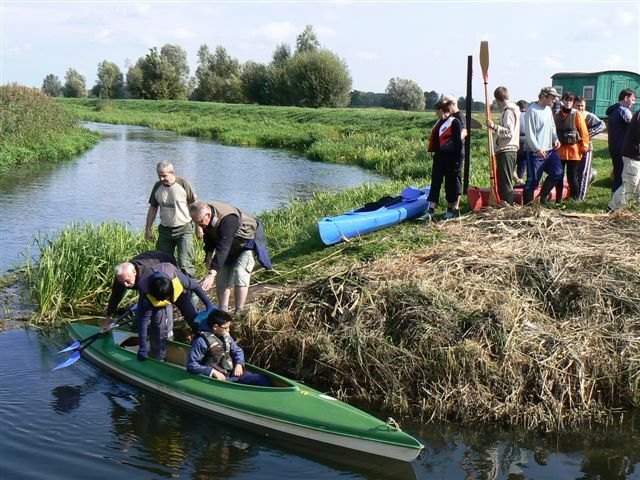 There are two very easy for canoeing watercourses near Kostrzyn such as Postomia (outside the National Park) and the canal Maszówek (partly within the Warta Mouth National Park, which requires making a notification about your planned trip to its administration). The routes are conducted through regulated water bodies, on straight sections, so they might seem a bit repetitive, but have their unique charm. Postomia flows through the nature reserve Postomia Valley, at the feet of the tall bank covered with an impressive old forest. Rafting down the canal Maszówek when the water level is high is a picturesque trip through peaceful landscapes of the fertile, flooded meadows.